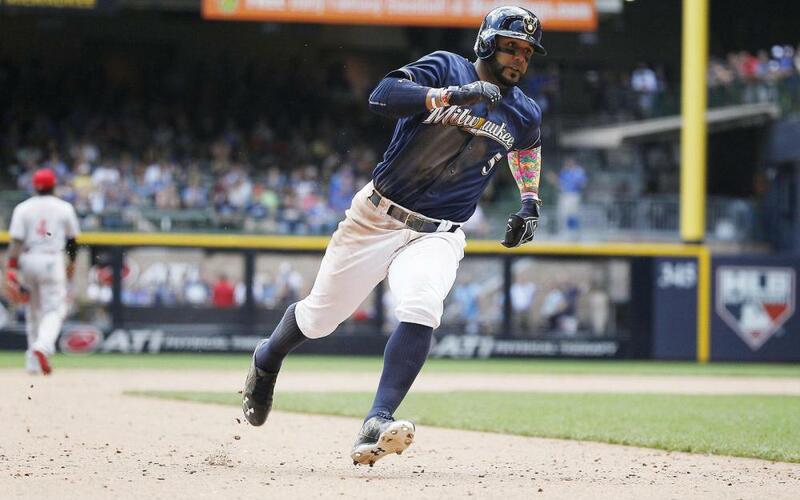 2B Jonathan Villar was placed on the 10-day DL on Saturday with a lower back strain. Villar should be stashed away as he'll miss this week's slate of games but could be back for most of next week's slate. 3B Travis Shaw is questionable for the start of this week after being placed on the family medical emergency list. Keep an eye on Shaw's status before plugging him into lineups this week. OF Yoenis Cespedes was activated from the DL on Saturday after missing the last several weeks with a strained hamstring. Cespedes should be active in all formats this week now that he's healthy. 2B Cesar Hernandez is day-to-day with soreness in his side. Keep an eye on Hernandez's status before plugging him into your lineups this week as a DL trip may be necessary here. Zach Godley is back in the D-backs' rotation after getting the call from Triple-A where he was sent a couple weeks ago in an effort to limit his innings. Godley is worth adding in deeper leagues now that he's back in the big league rotation. Jon Gray will begin a rehab assignment on Wednesday as he nears a return from his broken foot. Gray may only need one or two rehab starts before re-joining the Rockies rotation and will be worth plugging into fantasy lineups once he's available. Noah Syndergaard remains on the DL with a lat strain and has yet to resume a throwing program. Keep stashing Syndergaard though it looks like it's going to be awhile before he'll be able to help fantasy owners. Steven Matz and Seth Lugo both re-joined the Mets rotation and there's rumblings that the team may go forward with a six-man rotation for now. Matz is in for sure and is worth a look in most leagues this week, while Lugo is worth a flier in some deeper leagues if he sticks in the rotation. Tony Watson has been removed as closer after blowing two consecutive saves last week. Felipe Rivero and Juan Nicasio will share closer duties for now with Rivero having more upside but Nicasio having more experience. All things considered, Rivero has been outstanding this season and looks to be the more valuable add but both pitchers are worth snagging, especially after locking down a four-out save on Saturday.